Albert Strange (1855-1917) was an accomplished artist, teacher, yacht designer, sailor, and writer, and he left his indelible mark on all these fields of activity, with levels of accomplishment, modesty and humour which have endeared him to so many, from his own lifetime to the present day. 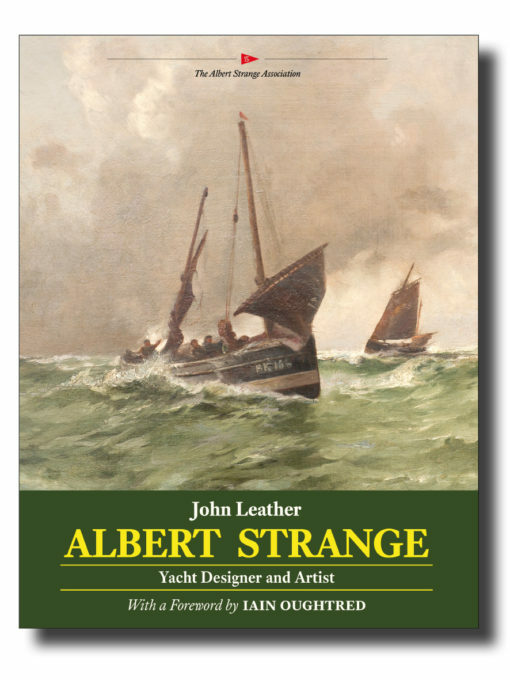 In this book, first published in 1990 by The Albert Strange Association and long out of print, John Leather provides a biography of Strange and a commentary on many of his designs. The book also includes: Drawings of 27 yacht designs; an appreciation of Strange the artist; a selection of his cruising yarns reproduced in facsimile from The Yachting Monthly of a century and more ago; an updated selection of recently located images of his paintings; and photographs of Strange yachts afloat today. This is the first of two volumes originated by the Albert Strange Association and to be updated and re-issued by Lodestar Books, and it deserves a place on the bookshelves of anyone who appreciates the design and enjoyment of the classic British cruising yacht, and the 'complete' example of humanity represented by Albert Strange. ISBN 978-1-907206-32-0; 275 x 210mm, 224pp + 12pp plates; many drawings & illustrations, comprehensive lists of designs and boats, index. Softcover with sewn binding, cover flaps and matt lamination.